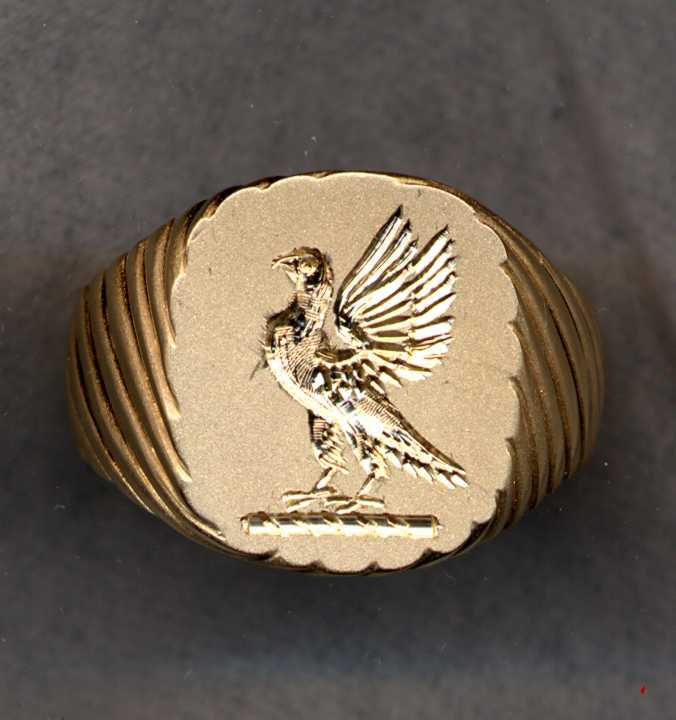 Wax impression made by pressing the ring into hot sealing wax to better show engraving detail. 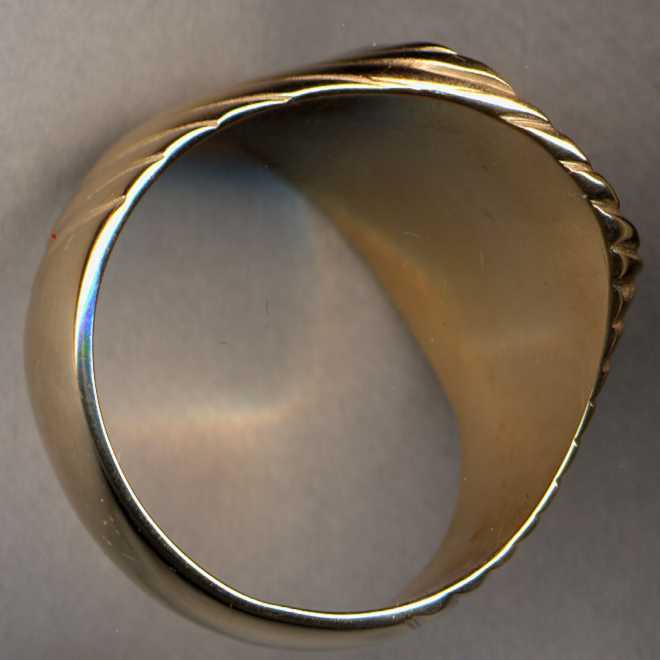 The face of this ring has been sandblasted to avoid problems with light reflections in the scanning process. 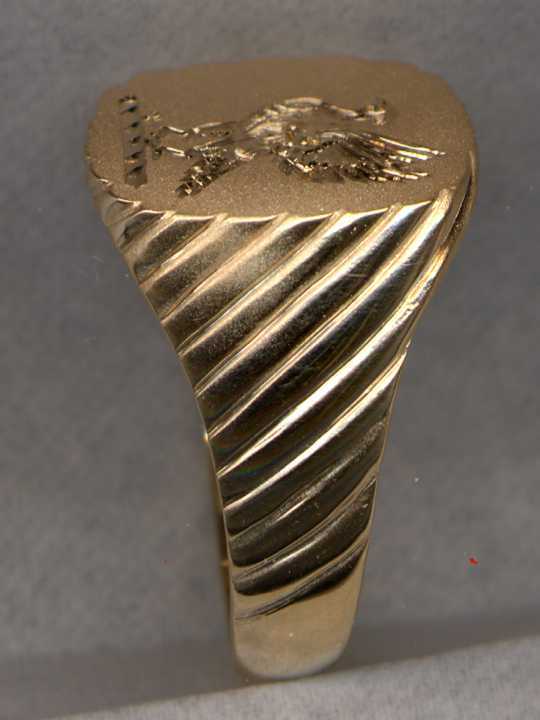 These may also be engraved with ay design shown in our 6000 Stone Crest Pendant collection, or any other design you may send us, which gives you unlimited possibilities.